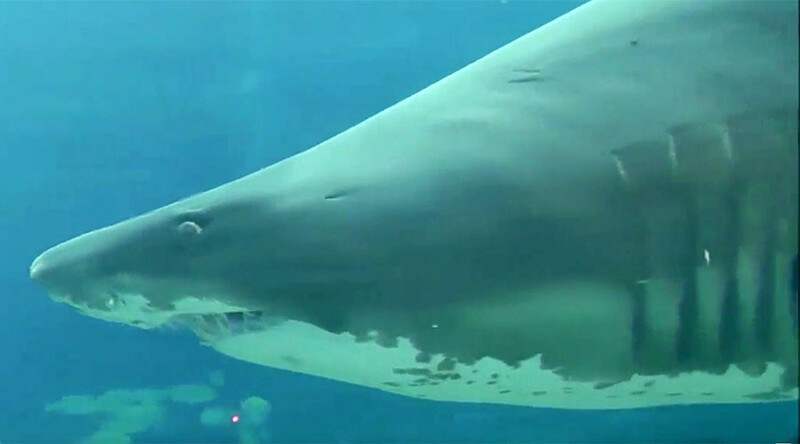 Watch a diver attacked by a pregnant shark as he was doing a routine checkup on it in a South African aquarium. The procedure is carried out across the globe very often, and is usually successful, but this time things turned violent. 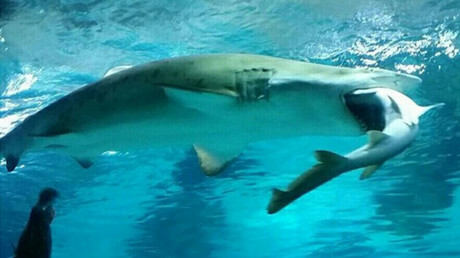 The video, said to be shot in 2012 and released only now, shows how the diver assists the pregnant gray nurse shark to an isolated tank in a South African aquarium – but all of a sudden, the shark turns and attacks him. The diver’s colleagues attempt to come to the rescue as he is tossed by the shark, and pull him to the surface. As he emerges, you can see a horrific impact to the shark’s left: the water is red with blood, and the diver’s left arm has been mauled. Colleagues carry out first aid, bandaging the hand. The diver had to undergo serious treatment on his arm and luckily has since made a full recovery, according to local media. Gray nurse sharks are commonly the most frequent shark species found in aquariums across the globe: they are known to be relatively docile, and when showing signs of aggression, generally attack other objects in the tank rather than humans. The video appeared just a few days after striking statistics were released: In 2015, there were 98 shark attacks across the globe, beating the previous world record of 88, set in 2000. The majority of the attacks occurred in the US, with Australia and South Africa in second and third place, with 18 and eight attacks, respectively.